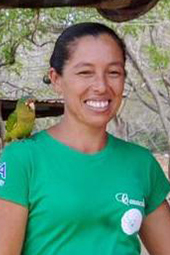 Maria has worked with NICA since its inception. She has worn many hats with our organization, working in our Somos el Cambio program, watering trees, cooking at the school, and pitching in any time and anywhere we need her. María (or Conchita) is a valuable member of our team, local to El Transito, and is making true change in her town.